Same as when reg troops were released, research for these, will cost you no rss or speeds. Instead, you will use Fire Shards. Those can be obtained in the dungeon, or by buying packs. Once again, you must level up your Training Garrison, before you can unlock and start training this new troop type. In order to do that, you will now need a Strategic Elite Troop Manual. 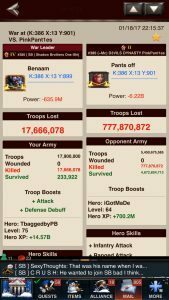 This research will give you the biggest rally size increase ever, plus 9000% higher stats, for your T5 Troops. MZ has opened yet another kingdom. Kingdom #1014 has a Strat T5 Boost. Purchase ports in packs, and go there, for a 100 Fire Shard Reduction. 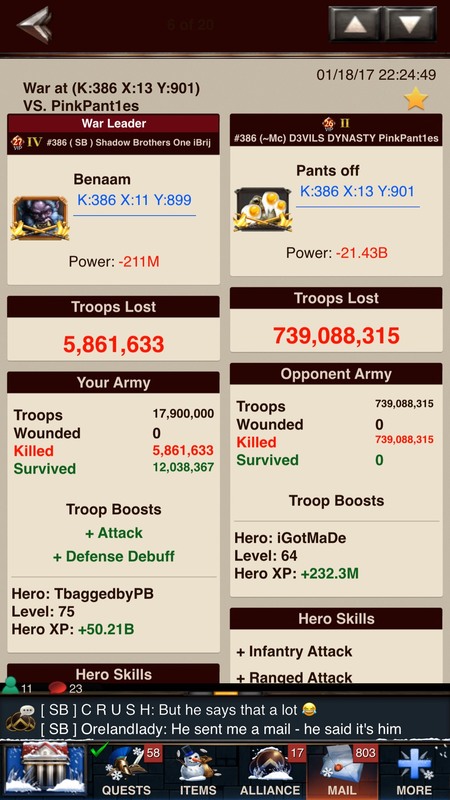 The new research and new troops, definitely makes a huge difference against traps. 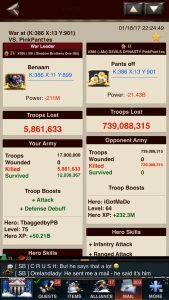 Usual traps that were capping with 2 kunais, are now being destroyed, and [ SB ] iBrij confirms it against a 69B power trap, making the biggest non nerf rally hit so far submitted, 21.43B with a rally march size of 17.9M. 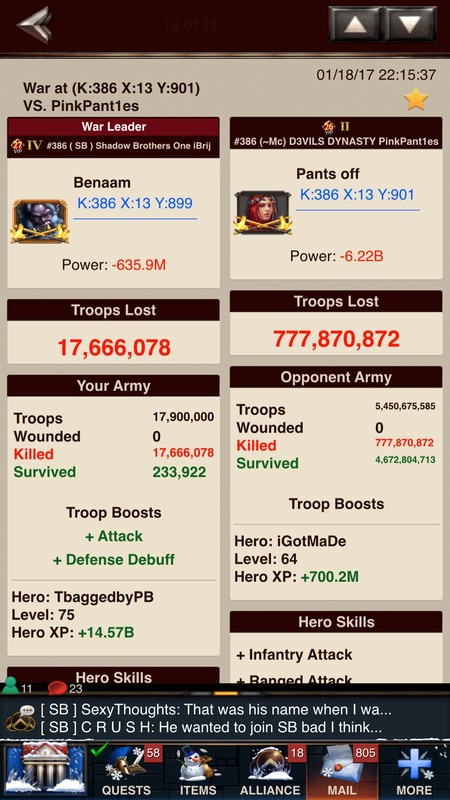 Please note, those numbers are for an unboosted account with Hero 64. Also, given that’s there’s no SS of the gear, that kind of hits leads me to believe that the trap didn’t have tleven one kunai, much less two. The better traps have already moved away from the old mixed hear setup to something else, or are moving to health traps, so this is an anomaly and not the new normal. Both Horns13 and Ctesse XDN got capped using those big marches last night. anyone know how many fire chards it takes to complete this new research?